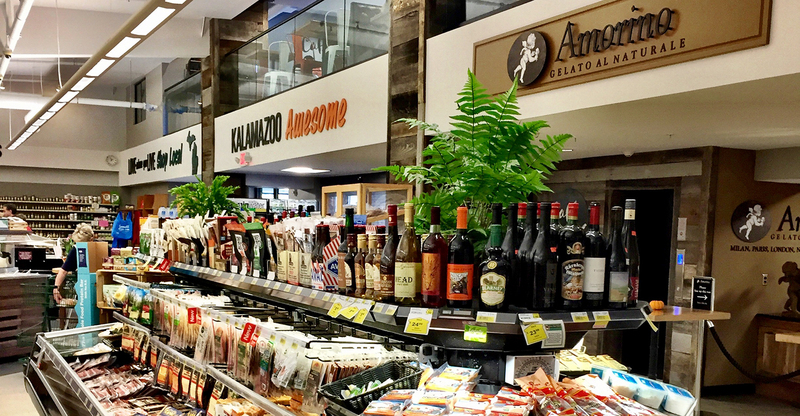 With its latest expansion, the Michigan health food store is redefining the shopping experience and serving as a destination for its community. Despite eight different expansions since 1990, Sawall Health Foods closed the book on another massive renovation and 4,500 square foot expansion when it opened the doors to Cafe 36, a full-service restaurant, in August 2017. With a deli, two kitchens, an organic coffee bar, full selection of pastries, and an all-natural gelato station—in addition to the fact that the store itself is a full-service grocery store offering all natural and organic products—one might wonder why store leadership decided to open a restaurant in the first place. Essentially, what it boils down to is that COO Mark Sawall wants the store to be a destination for community members to get everything they need in one place, and to redefine the shopping experience for not just natural food shoppers but conventional shoppers as well. If you ask him, his competition is anyone that sells groceries—not just other health food stores. “The natural products industry tends to focus on the core shopper who comes in every week, but especially with all the natural chains going up in this industry, we cannot forget about the customers who haven’t been in the store before and are coming in for the first time,” Sawall says. How does he reach these shoppers?